Adults with poor mental health may want and need insurance to obtain care, but symptoms may impede enrollment into public health insurance. This study compares Medicaid enrollment responses to eligibility expansions by mental health status using a sample of non-elderly adults in both the 2000–2011 Medical Expenditure Panel Survey and the National Health Interview Survey (N = 27,494). 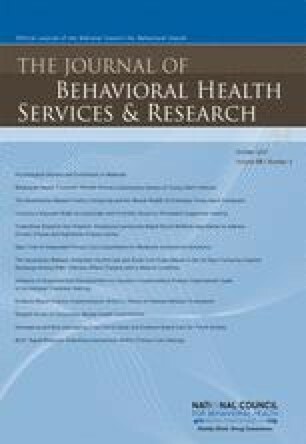 The impact of Medicaid income eligibility thresholds (defined as the maximum family income level allowed in each state to be considered eligible for Medicaid) on Medicaid enrollment was estimated from linear regression models allowing for differential enrollment responses by mental and physical health status. Increasing income eligibility thresholds by 100% of the federal poverty level (FPL) was associated with a five-percentage-point increase in the probability of Medicaid enrollment in the non-disabled population under 300% FPL. The enrollment response to Medicaid expansions prior to the Affordable Care Act was stronger for adults symptomatic of psychological distress compared with adults without distress and compared to adults with chronic physical health problems. This paper represents the views of the authors, and no official endorsement by the Agency for Healthcare Research and Quality or the Department of Health and Human Services is intended or should be inferred. Centers for Medicare & Medicaid Services. Medicaid & CHIP: August 2014 Monthly Applications, Eligibility Determinations, and Enrollment Report. Available at: http://www.medicaid.gov/medicaid-chip-program-information/program-information/downloads/august-2014-enrollment-report.pdf. Accessed on December 4, 2014.